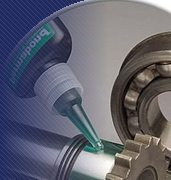 Dynamation Research stocks specialty adhesives for aerospace applications. Our extensive product range ensures that we are able to react to all of our customers needs. 3M Adhesive Engineering Airtech International Araldite BF Goodrich Bostik Ciba Geigy Chemseal Clickbond Courtalds Dapco Dow Corning Eccobond Epibond Epocast Epon Evostik Flexane Floorsil General Electric Goodyear Hardman Hysol Lockbond Loctite Lubriplate Morton Permabond International Pliobond PRC Proseal Ren Plastics Rhodhosil Scotchgrip Seal Once Silcoset Smooth-on Stabond Thixon Uniroyal Uralane Versilok and others. 3M Adhesives & Tapes Div. Dunbar Sales & Manufacturing Co. Inc.
F & M Machine & Manufacturing Co. Inc.
Newport Adhesives & Composites Inc.
Terracolors An AMS Tech Co.